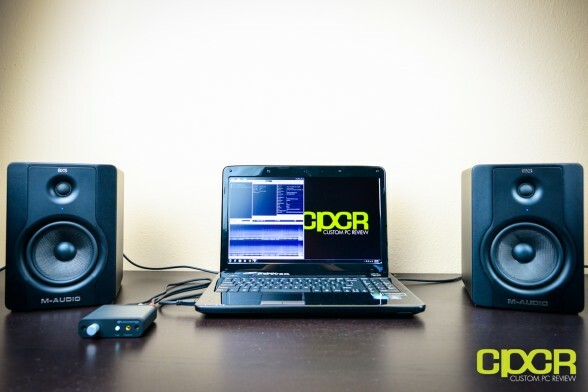 Typically when shopping for new computer audio systems, we tend to look for speakers designed specifically for computer systems. Speakers from Logitech, Corsair, JBL, Bose, etc. often come to mind and, don’t get me wrong, some of these choices are more often than not, perfectly enough for most computer users out there. However, when it comes to sound quality, most of these manufacturers put their own spin into the speaker whether it’s boosting the lows, giving the top end a little flair, or simply using lower end components that can’t be driven as hard without running into tons and tons of distortion. For that perfectly balanced, perfectly flat response, you’ll have to go a bit more professional such as a reference monitor or a studio monitor. Now, when I’m talking about this type of monitor, I’m not actually talking about a computer screen or anything like that. What I’m actually talking about are speakers designed for professionals who need completely accurate audio reproduction such as film makers, recording studios, DJs, etc. This means a flat response curve all the way through the entire frequency range. Today we’ll be reviewing a pair of studio monitors, the M-Audio BX5 D2. For those unfamiliar, M-Audio has been in the professional audio industry for quite some time now and have quite a good reputation in the industry for producing top quality products at reasonable prices. 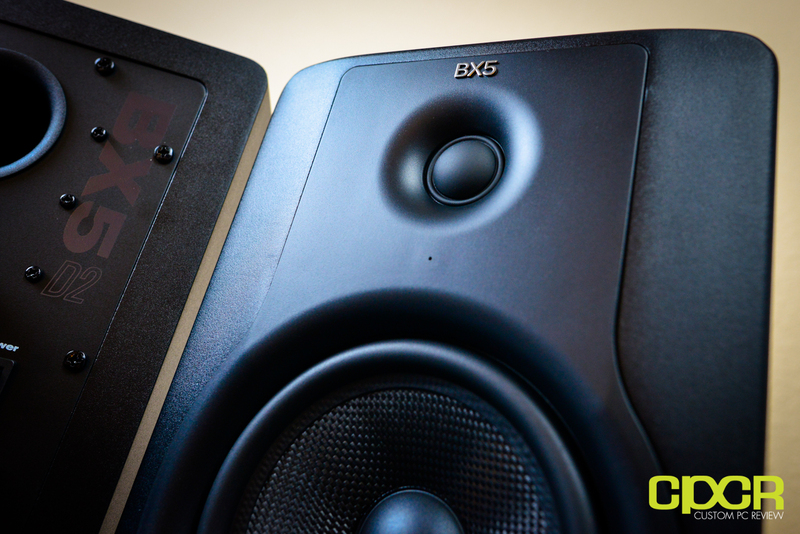 The BX5 D2 speakers themselves are active studio monitors, which means they are internally powered and require no external amplifier to drive. Each speaker has a 5″ Kevlar woofer, a 1″ natural silk dome, and a bi-amplified design which can output 70 watts of distributed power. 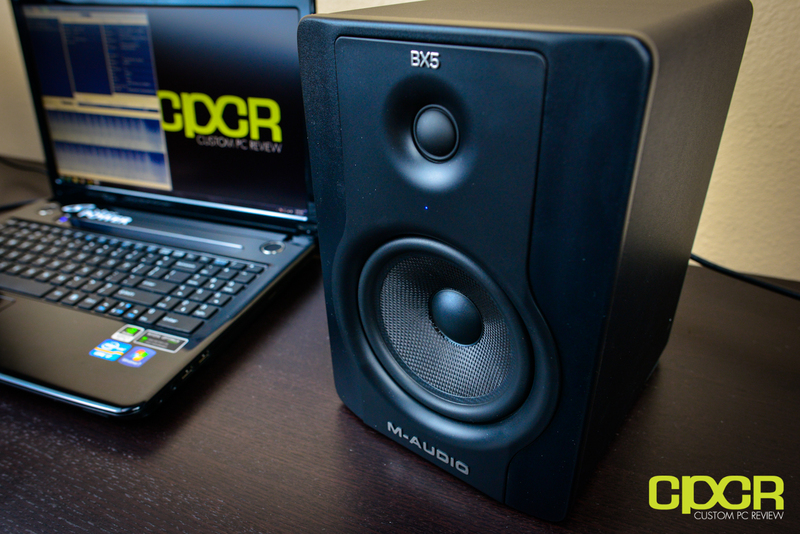 Can a pair of professional studio monitors greatly enhance your computing experience? Let’s find out! Here’s a look at the packaging for the M-Audio BX5 D2. Simple and elegant. Nice. Inside, M-Audio has bundled a couple pieces of documentation. 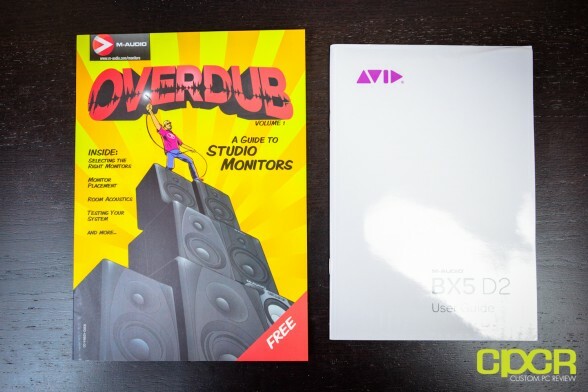 The “Overdub” guide to studio monitors is a wealth of information about literally everything you need to know to get started with studio monitors presented in a cute comic book format. 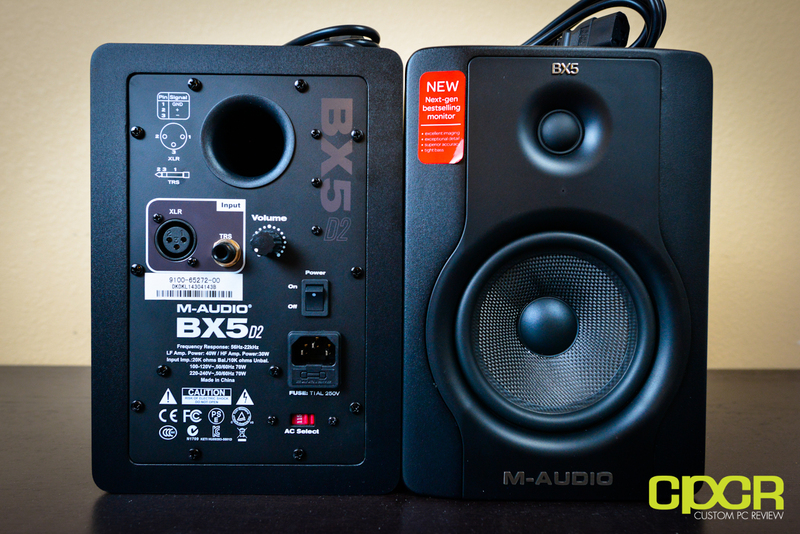 Included, we also get a couple power cords and of course, the M-Audio BX5 D2 speakers as well. Each speaker is constructed of MDF and is finished in a matte finish for resistance to dust and fingerprints. 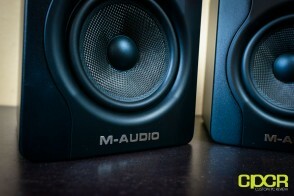 They’re also shielded against EMI as well, so these speakers may be placed next to other electronics without any issue. The front of each BX5 D2 unit features a 5″ Kevlar woofer along with a 1″ silk dome tweeter. 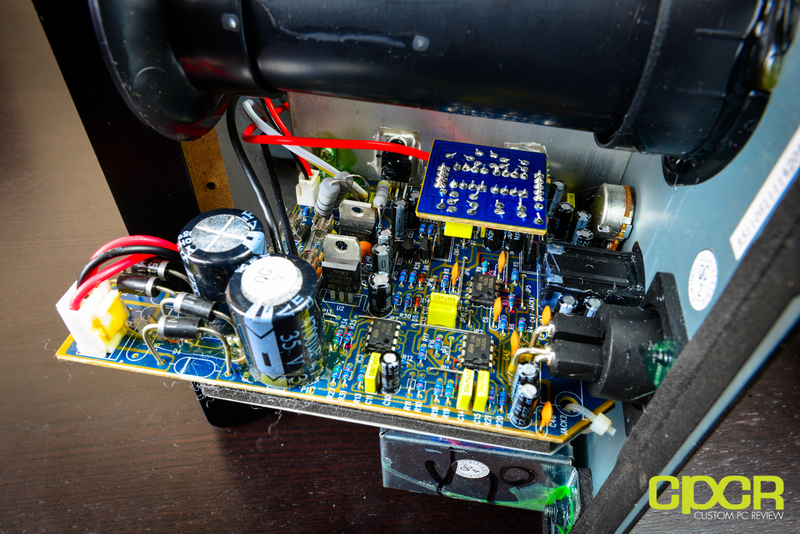 The rear of the BX5 is identical on both speakers and houses all the I/O connections along with a port for an enhanced low frequency response. This also means that you’ll need to make room for two power connectors in order to use both speakers. 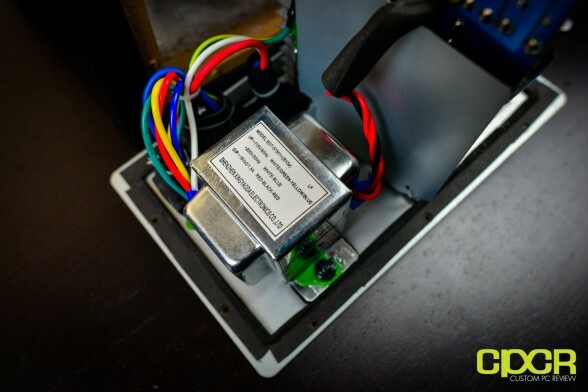 Let’s take a closer look at the I/O. 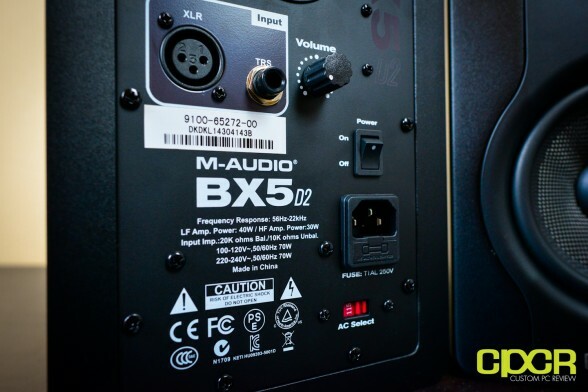 True to its designed use as professional studio monitors, the M-Audio BX5 D2’s rear I/O panel only comes with professional level inputs, so all you’ll be getting here are balanced XLR jacks and balanced/unbalanced 1/4″ jacks. This is a bummer as getting the speakers hooked up will require either professional equipment or some sort of adapter. Either way, it will require more than a simple 3.5mm to 3.5mm cable. There’s also a power switch, a power jack, AC select, and a volume knob. One thing you’ll notice about the volume knob is that there aren’t any detents, so it’s extremely difficult to match both speakers to the same volume. That said, I definitely liked having the option of individually adjusting the volume on the speakers. As room configurations aren’t always 100% ideal, I found that being able to independently adjust volumes allowed better flexibility in optimal speaker placement, which makes it a whole lot easier to get the best stereo imaging possible. 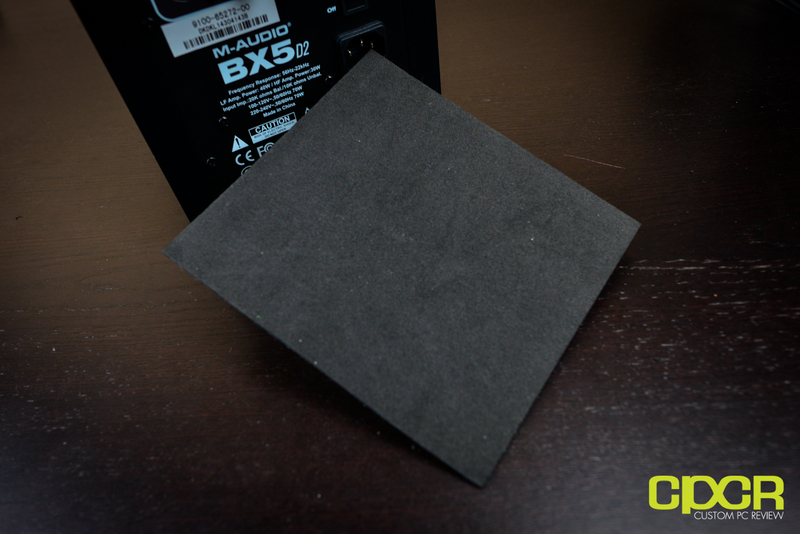 In order to achieve better speaker isolation, M-Audio has also included two small foam pads, one for each speaker. This will help reduce table vibrations; however, it is quite thin, so I’d recommend picking up something a bit more beefy if the budget allows. Here’s a look at the electronics behind the BX5 D2. Each speaker is bi-amplified, which means it has separate amplifiers for both the high and the low frequencies. This type of design is much more expensive, but it produces the cleanest audio signals as interference between the high and low frequencies are better isolated. 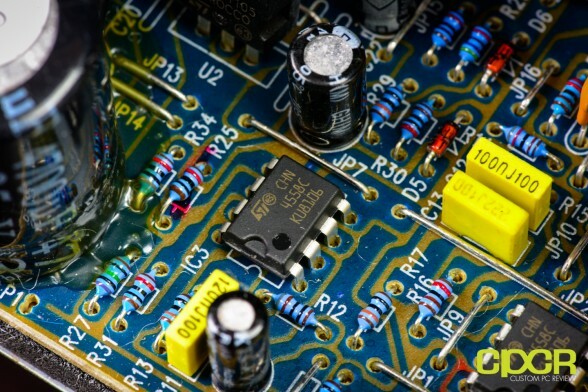 According to the specifications, the low frequency amplifier is capable of producing 40w while the high frequency amplifier is capable of producing 30w. This gives us a combined 70w of total power. Taking a closer look here, it looks like M-Audio is using 3x ST 4558C opamps in each cabinet to drive power to the drivers. These are fairly common, fairly inexpensive opamps used in a ton of audio products on the market. It would be nice to see higher end opamps being used, but for the price M-Audio is asking for these things, it doesn’t seem likely. Oh my… what are these? KYS Chinese capacitors? Never really heard of these. Would’ve liked to see WIMA, Nichicon or Nippon Chemi-Con, but again, at the price M-Audio is asking, that’s a bit unrealistic. I’ll know where I’d look if something goes wrong. Here’s a look at the transformer. A toroidal transformers would’ve been preferred here as they generate lower EMI, but M-Audio’s design isolates the transformer from the rest of the electronics, so interference shouldn’t be a problem. Here’s a look inside the cabinet. Overall, a very clean, very well thought out design. All listening tests today were conducted with the M-Audio BX5 D2 speakers connected via the RCA outputs from the Audioengine D1 DAC. All connections to the D1 DAC were made via a Hosa CPR202 1/4″ to RCA cable. Since the M-Audio BX5’s are designed for studio monitoring, I’m not going to go into too much detail in regards to games and movies, but I’m going to share some of my thoughts. In games, I tested the speaker quite extensively in Battlefield 3 and CS:GO, and I have to say I was very impressed with performance. Vocals came across with stunning realism and small details in the sound were accurately revealed by the speakers. Firing up Battleship with its very well done DTS 7.1 Master Audio track was a phenomenal experience with vocals feeling so realistic that you’d literally feel like you’re right in the room with the characters. 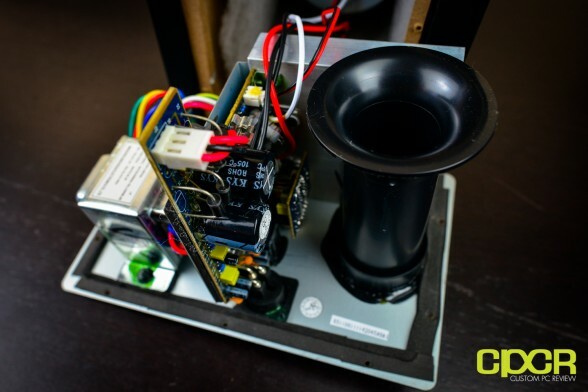 Now, in movies and in gaming the bass response will feel a bit lacking as this is a 2.0 speaker system with smaller speakers, so it’s definitely recommended that those looking to use these speakers for movies and gaming to pick up a subwoofer. Unfortunately, this wasn’t something I had the capability of testing as I didn’t have a good way of interfacing my home theater oriented Emotiva Ultra Sub 12 to the BX5 D2’s. That said then, those looking to pick up a subwoofer with the BX5 D2, definitely be aware of the connectivity. 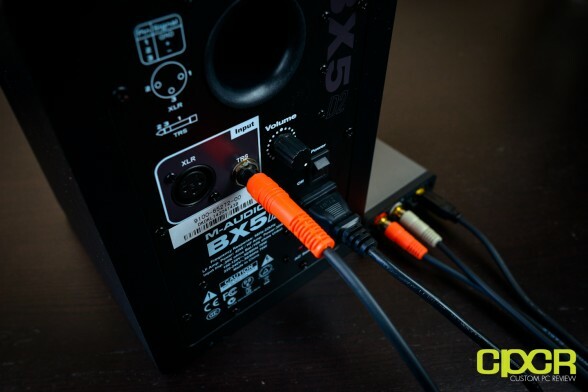 As the BX5 D2’s use XLR or 1/4″ inputs, you’ll need something that can easily interface with these inputs such as the M-Audio SBX10 Subwoofer or some professional grade sound card. Moving into music performance then, I found the BX5 D2’s to perform exactly as expected of a studio monitor – it’s very accurate and very balanced. No surprise there. 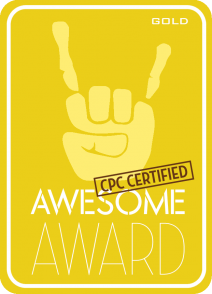 After spending a couple weeks breaking the speakers in, I spent a number of days doing individual listening tests on my usual wide assortment of music from a wide variety of genres (AC/DC, Adele, George Winston, Usher, Two Steps from Hell, Metallica, etc.) and I came away feeling very impressed. 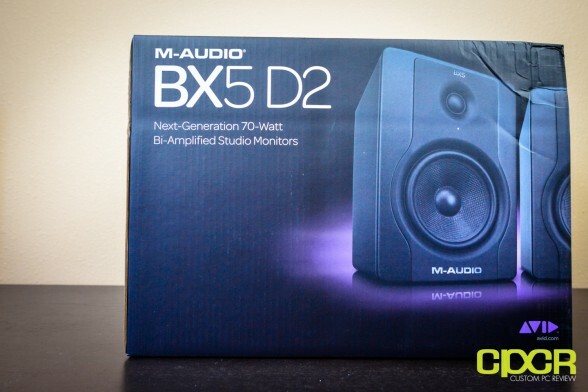 Even after recently reviewing the already very good Audioengine 5+ speakers a couple weeks ago, I felt that the M-Audio BX5 D2’s just had that little extra bit of balance and refinement that sets the BX5 D2’s apart as a professional level studio monitor rather than a consumer oriented product. Music from the entire frequency range from high to low were completely clear, even down to the very low end which produced tight, punchy bass rather than the overemphasized boomy bass that’s all too popular these days. The mids, both the higher and lower end, were tuned just right so that audio coming out of the speakers sounded very natural and lifelike rather than digital and processed. Those who’ve never used a studio monitor before, be aware the BX5 D2’s are definitely not as forgiving towards highly compressed or lower quality music as your average $50 or $150 consumer grade 2.1 speaker system. In my testing, I noticed that when streaming movies/music online or listening to lower quality MP3’s it’s much easier to notice popping, clicking, hissing or other “digitized” artifacts common in poorly encoded audio. Those unfamiliar with such revealing speakers may think it’s a problem with the speakers, but it’s more likely the source audio that’s causing the problems. The sound stage on the BX5 D2 is very wide and instrument separation here was superb as well. It’s very easy to notice the smaller, more subtle instruments especially in orchestral or soundtrack music. The bi-amplified design on the BX5 D2 did its job well as I couldn’t discern any sort of distortion throughout the entire frequency range. Even after cranking the speakers up to eardrum bursting levels, I didn’t notice any distortion as well. One thing I did notice though is that the speakers do lack a bit of “oomph” on the extra low end so those of you looking for a speaker system that’ll rumble your house with boomy club music, you might want to invest in a bigger set of speakers such as the larger M-Audio BX8 D2’s or a subwoofer. Over the years, the M-Audio name has become one synonymous with professional audio gear, and the BX5 D2 is an excellent representation of this. Out of the box, the sound signature is very flat across the entire range so those who want to hear music as the artists intended will find the BX5 D2’s very enjoyable while those who typically listen to consumer oriented speakers that emphasize the bass, the trebles, or a combination of both the bass and trebles will find that the BX5 D2’s may reveal a lot more detail in the midrange that may have been missed with poorly tuned systems. 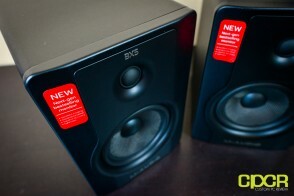 In terms of design, the BX5 D2’s are definitely among the best looking speakers on the market. M-Audio’s choice in using highly durable Kevlar woofers means that the BX5 D2’s can forego speaker grills, which not only detracts from the appearance of the speakers but may cause some interference with soundwaves passing through them. Additionally, I’m also a huge fan of M-Audio choice in using centered tweeters as well which gives the speakers a very balanced look. The most impressive thing about the speaker’s design however, is M-Audio’s inclusion of a power/”sweet spot” indicator LED in the center of each speaker. This is an extremely simple, yet extremely useful feature as it really helps a lot in regards to speaker positioning since the actual “sweet spot” on these speakers is very small. Personally, I’ve never seen this feature on any speaker prior to the BX5 D2’s so I’d like to give credit to M-Audio for thinking outside of the box here. While the BX5 D2’s are a fantastic choice whether you’re planning to use them in a studio environment or just planning to use them as a serious audio upgrade for a desktop audio system, there are a couple things to watch out for. 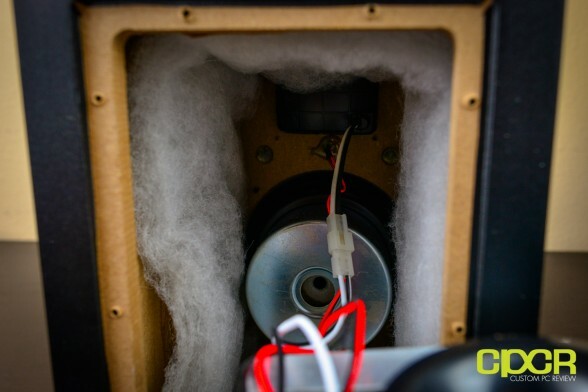 The biggest thing of course is the fact that these speakers will require some less common connectors such as 1/4″ TRS or balanced XLR. These are connectors that are typically used in more professional environments such as recording studios or DJ equipment and aren’t commonly found on sound cards or home theater receivers. For today’s testing, I picked up a Hosa CPR202 1/4″ to RCA cable for about $5.94 through Amazon, which worked without any issues, but this connection will be an unbalanced connection, so unwanted interference may occur. Your results may vary with this. Additionally, each BX5 D2 speaker needs to be individually powered, so for those of you who already have too much stuff plugged in to the power strip, this could potentially be an issue. Finally, those looking to use the BX5 D2’s as multipurpose speakers may notice that the bass response is a bit lacking with the BX5 D2’s, especially when upgrading from a 2.1 speaker system. For this, you’ll want to pick up a subwoofer, but be sure to pick up something like the M-Audio SBX10 Subwoofer or be sure to have a sound card/amplifier that can simultaneously interface with both the speakers and a subwoofer. Because of the aforementioned considerations, the main thing I’d like to see M-Audio include in future revisions of the BX5 D2 is some more mainstream audio interfaces. I think the lack of more mainstream connectors may discourage a lot of potential buyers of the speakers and this would definitely be a shame as the speakers are capable of producing some absolutely stunning audio for the money. The one concern is I did have is that I feel they might be making too big a deal about the lack of 1/8″ or RCA connections on the back, because in three separate places during the review they worry that it may make connecting the units to unbalanced sources hard to do. It would be good if they could explain a little more clearly that since the 1/4″ jacks can operate as unbalanced, it means that any local radio shack, best buy, etc will sell a pair of female RCA to male 1/4″ adapters, and with those, you can attached any standard pair of RCA to RCA, or 1/8″ to dual RCA cables, to get the speakers up and running with ant source that uses an 1/8″, or RCA outputs. If I were a reader, I might possibly be left with the impression that these speakers are not able to be used with the 1/8″ or RCA outputs of a computer soundcard, and that is definitely not the case. Speaking of money then, current pricing on the M-Audio BX5 D2 is $232.49, which is an absolute steal for a set of entry level studio monitors like these. They sound significantly better than any set of computer speakers in this price range and are best compared with the Audioengine 5+’s, which run for $399.99, nearly double that of the BX5 D2’s. That said, the Audioengine 5+’s have far superior connectivity options and setup is far more convenient so there’s tradeoffs going either way. 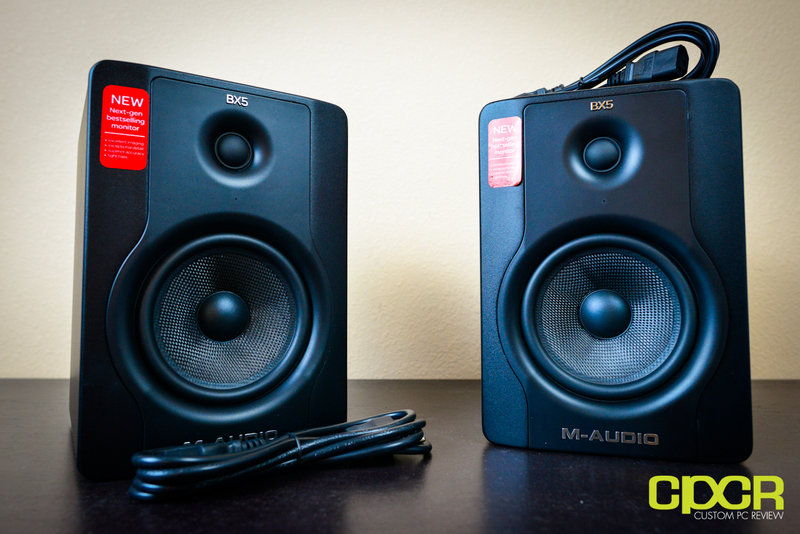 Audio enthusiasts looking for an excellent pair of entry level studio monitors will find that the audio quality of the M-Audio BX5 D2’s unmatched in this price range. I want to connect these speakers to my PC, I only have right now integrated soundcard. What do I need to connect them? Thanks. I used an Audioengine D1 DAC with a Hosa RCA to 1/4″ cable. If you don’t wanna go that route, you can use a 1/4″ to 3.5mm cable. I own M AUDIO BX5 D2 and i use it with Asus Xonar U7 usb soundcard.I want to know if Audioengine D1 have a noticeable difference in soundquality if i upgrade from my soundcard.Can you review Xonar U7?I found it was great with cheaper headphones and speakers.